“How old are you?” OLAY asked the question that shocks most women in China. This question became a rallying cry behind the belief that “the number that defines her is not her age, but her fearless stories” or achievements. Each story shared became motivation for everyone to take part and share their own achievements. With its celebrities, OLAY invited 18 key opinion leaders to share their own number and inspiring stories as well as to generate momentum on social media. Chiling interviewed Granny Huang. Both share the number 30. Both defied the limitation of age to pursue their own beliefs – Chiling for taking on 30 different roles in life, and Grandma Huang because she has walked on 30 catwalk runways. She didn’t let retirement and people’s skepticism stop her from shining on a stage she calls her own. Victoria Song found Alu. Both are 9 this year. For Alu, she spent 9 years learning hip-hop, jumping from the streets of Chengdu to finally appearing on the world stage. Even though as most people age, their passion for dance may slowly wane, Alu still dances to the beat of her own drums, chasing her dream against all odds to be a world-class hip hop dancer. Ma Sichun found Jiang Fangzhou, who wrote an epic diary consisting of 160,000 words (In Chinese, the number 160,000 is written as “16” hundred thousand). Gao Yuanyuan found Ren Lili, who created 24 books of recipes – each discovered with dedication and time. He Shui found Ye Hao, who walked 52 kilometers – all in the hope of capturing majestic places under the stars. 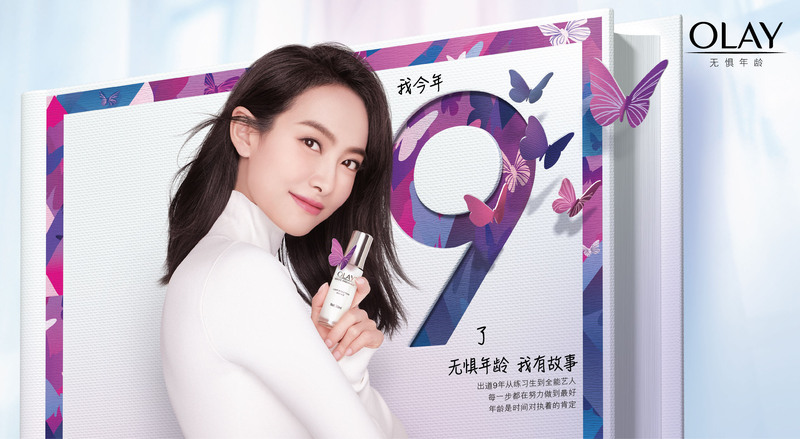 To start the campaign, OLAY began by changing the “ages” of supporting celebrities on Baidu Encyclopedia (China’s equivalent of Wikipedia), and replaced them with a number that represents her fearless story or achievement. People may have seen it as a mistake, only to discover that this is part of the campaign to encourage women not to be defined by age. To read the whole list of supporters, go to OLAY’s H5 site to find different women and their stories. Lastly, OLAY will collect all of these real stories and publish an encyclopedia.